LED lights and accessories manufacturer F&V have announced a new addition to their already illustrious lineup of LED panels. The all-new F&V Z1200VC CTD–Soft is a 3×1 LED Softlight that according to its maker …redefines true colour accuracy by using RGBWW LEDs, not only for colour effects but also to improve pure white light. A 3×1 size is very desire-able shape for more pleasing look for interviews, when lighting human faces. However such size is often difficult to find as most RGBWW LEDs at the moment are 1×2 or 1×1. Having a 3×1 can also be quite useful in a studio situation. Portability gets a bit more burdensome in a 3×1, as you have a to transport a larger unit (that also comes in a case), but this light will be used by crews and more heavily equipped DP’s with vans and other larger vehicles, so that should not be an issue. Fitting this thing in the back of a Civic, maybe not so much. At least the weight of the fixture is around 4.6kgs, which makes it featherweight compared to a Skypanel or a Gemini. 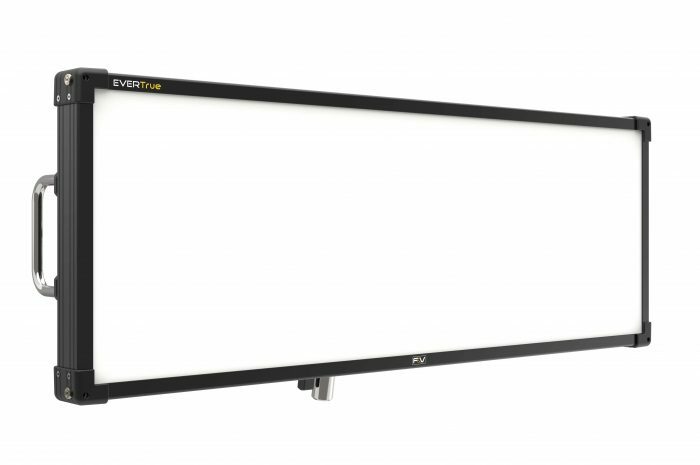 The new EverTrue Vari-Colour 3×1 LED Panel is not your average RGBWW LED, but features what F&V call – EverTrue Vari-Colour. F&V explain on their literature that their Vari-Colour fixtures offer a true fit to the Planckian Locus aka Black Body Curve (this sounds waaay too technical for me) – but what I get from it is that these lights are the business. 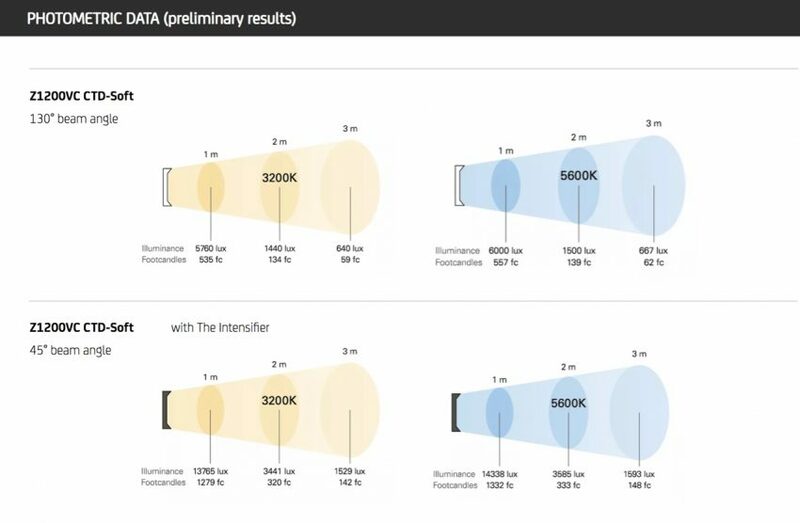 The new Z1200VC CTD-Soft 3×1 has something F&V call “true tint-less white light at all correlated colour temperatures throughout the adjustment range.”. Last year at IBC 2018, I had a chance to check out the 2 foot version of the Z1200VC CTD-Soft and some of their other LED offerings (see video here) and they are quite impressive, while at the same time priced aggressively in their class compared to something like a Litepanels GEMINI or the ARRI Skypanels. One of the main advantages of the Z1200VC CTD-Soft is its wide colour temperature range, or rather extended Kelvin range support. In White-Light Mode the Z1200VC CTD-Soft offers maximum colour reproduction from 2800K to 6500K. For more extreme colour temperatures the extended Kelvin Mode offers an even wider CCT range from 2400 to 9900 Kelvin. The new F&V light also features a huge built-in digital library of more than 300 popular colour and correction gels from Rosco and Lee, so you can freely gel your lights without light-loss or having to carry filter. The light also comes with a range of pre-programmed and customizable lighting effects it’s easy to quickly create interesting lighting setups, including Lightning, Cop Car, Fireworks, TV, and more. The Z1200VC CTD Soft offers extraordinary brightness throughout the colour temperature range with a beam angle of 130° for an even, homogenous and soft light that is perfect for skin tones. Colour accuracy is the focus of what F&V lights are aiming for and they boast an impressive TLCI of 98 ( plus/minus 1) for a well balanced, full-spectrum light of pristine colour accuracy. Their UltraColor color reproduction is the basis of our all their EverTrue fixtures, providing calibration from our side ensures consistency from the beginning with virtually no tolerance from fixture to fixture. To ensure consistency after years of use EverTrue fixtures can be recalibrated by the user for accurate colours and colour temperatures, always. The Z1200VC CTD Soft also offers Tint Control with +/- Green and Magenta adjustment for fine tuning. The Z1200VC CTD-Soft has a large aperture providing soft brightness from a huge fixed diffusor panel. At the same time, it’s light in weight, thin and compact to fit into tight locations. 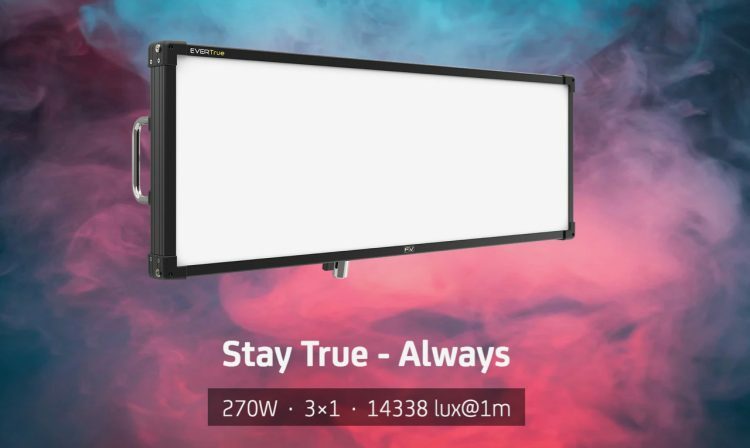 The new F&V VariColour light is also not just powerful (270W) at 6000 Lux at 1 meter, but is also silent, thanks to its sophisticated passive cooling system. The Location Pack gives you 2x V-mount slots so you can power this beast on location. As an all-onboard solution the controller and powering solution can be attached to the back of the light head. For optimal weight distribution the controller and powering solution can be attached together and used remotely from the lightweight light head. 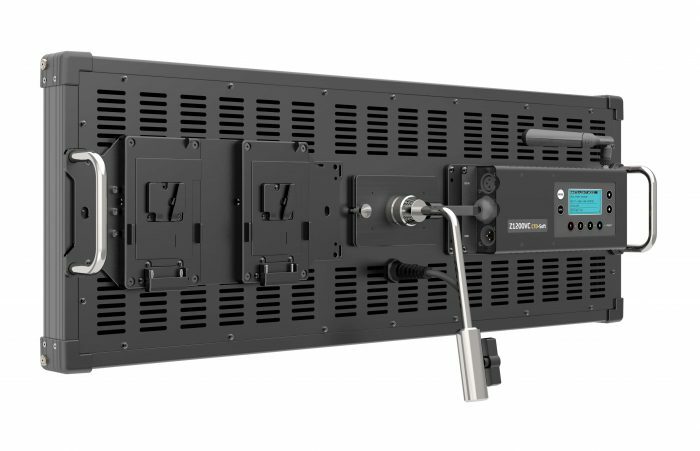 With built-in DMX 512 and Wi-Fi users can control the Z1200VC CTD-Soft in any situation. The F&V Z1200VC CTD-Soft Rental kit is priced at $2699 USD or €2299, however F&V are offering an introductory pricing, which saves you €300 if you buy the Rental Kit before 27th February from F&V direct. The Rental Kit includes: 1x Light Head, 1x Controller, an AC Adapter, a Battery Plate, a Central Lollipop Mount, Extended Control Cable, Handle Pair, all in a Hard Flight Kit Case. For more details head over to F&V’s website here.